Antique Brass Sockets , Antique Brass Switches , Antique Brass Downlights , Matt Black Nickel Sockets, Pop Up Sockets, Fire Rated Downlights, Electric Plinth Heaters , Hydronic Plinth Heaters , Smiths Plinth Heaters, Under Cabinet Lighting, Kitchen Lighting. Here at Astra, we are dedicated to providing unparalleled quality with each and every single product we sell. Our customers will benefit from only the best light switches, home heating solutions, cooling fans, and a vast selection of other products when they choose to do business with us. Our company as a whole is continually flourishing and becoming more prevalent across a range of different markets. As a result, since 1999, Astra has grown from being a simple ceiling fan distributor with a small shopfront, to a comprehensive retailer selling all-manner of products; now based in a large 6600sqft facility. We specialise in superior lighting, electric, heating and cooling products, and with such a comprehensive range of products in stock, Astra truly is your one-stop shop for home appliances. Whether you're looking for wall, ceiling, table or floor lamps, we have the home lighting solution for you. We even stock home lighting designed for use in specific rooms, such as bathroom and kitchen lighting, as well as a selection of designs for children in our home lighting range. Whether for purely functional or aesthetic quality purposes, you can consult the home lighting collection available here at Astra to find exactly what you're looking for. Those looking to showcase their belongings could use home lighting such as spotlights, or shelf and furniture lighting; whilst those in need of functional light fittings can make use of our modern, low energy lights. We frequently update the latest products and offers available in our extensive home lighting range; allowing you to reap the benefits of the vast and unique collection we always have in stock. You can purchase electrical sockets and light switches here at Astra247.com. Antique Brass Sockets are available from 7M PRO, Click DECO and Windsor ranges. Black Sockets are also popular, specifically Black Nickel (which is like Black Chrome and sometimes known as Iridium) available from Click DECO, 7M PRO, Screwless MLA Knightsbridge and Slimline 5M. Matt Black Switches and Sockets have been introduced in the last couple of years and proving extremely desirable, available in Screwless Definity, 5M Slimline and G&H Contour styles. In vogue this year is the new 5M Slimline Matt Grey socket and switch range to compliment modern decors. We have over 26 ranges in Chrome Sockets and Switches section, Polished, Satin, Stainless Steel, Pearl Nickel, and Brushed Nickel. Screwless, Flat plate, 5mm, 7mm, 9mm depths. The range includes 7M PRO, Click DECO, MLA Knightsbridge, 5M Slimline and Click Definity. Astra caters for all budgets and tastes, from our contractor chrome ranges all the way up to bespoke Victorian antique aged brass finishes for period properties, we have lots more available to order so talk to us if you cant see exactly what you are looking for. .
Underfloor heating is the popular alternative to traditional central heating via a home's radiators, as they are cheaper to power and keep a home warmer than radiators. Underfloor heating is also able to establish temperatures which do not support the development of mould, bacteria and viruses, like other forms of heating can. Underfloor heating is also renowned for being safer to use in the home than radiator-based heating solutions, as underfloor heating doesn't present any burn hazards. At Astra, we retail a comprehensive range of underfloor heating solutions and essential components, including Marmox board, laminate and wood products, tile and stone products, in-screed cables, insulation and sundries, and controls: everything you need for an underfloor heating system. We can provide probably the biggest choice in pull up sockets, and worktop kitchen type triangle socket options. Finishes available are Stainless Steel, Polished Chrome, Black Nickel, Aluminium, Matt Black ABS, Silver and Brushed Steel. 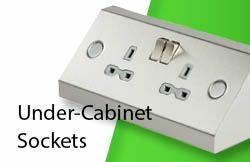 We also have a new selection of work surface and under cabinet kitchen sockets that have USB charger outlets for charging tablets, iphones, ipads, smart phones etc. Whatever your decor or function preferences, at Astra we have the ceiling fans to suit. We can offer innovative ceiling fans with lights and without, as well as modern, traditional, industrial and designer ceiling fans for use across all rooms of the home. Should you need brackets, ventilation, remotes, wall controls or any other equipment for your ceiling fans, you can consult Astra. Whether you're looking for underfloor heating solutions, functional electrical switches, powerful electric showers or home lighting fixtures, within Astra's collection of products is exactly what you need. 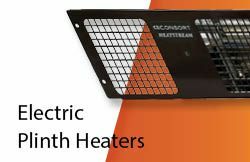 We can deliver our products across England, Wales, Scotland, Europe, Jersey, Guernsey, Channel Islands, the Isle of Man, Isle of White, Highlands and Islands, Northern Ireland, Eire and Malta so virtually anyone can benefit from using our sophisticated underfloor heating systems, or powerful and stylish electric showers. With our strict dedication to providing only the highest quality products and reliable customer service, you can rest assured that Astra can be consulted for all your electrical, lighting, heating and cooling needs.